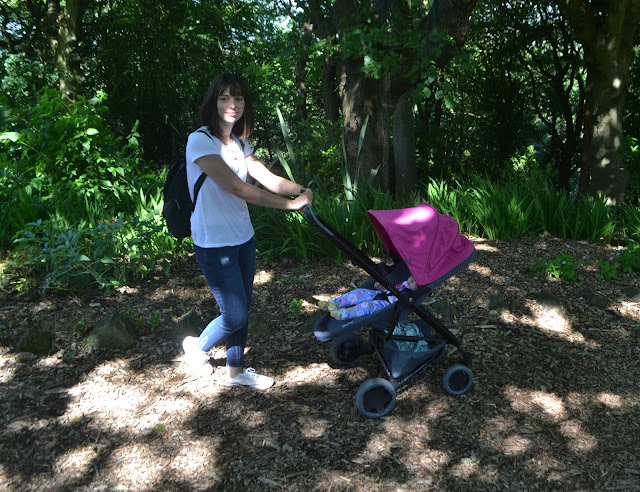 Having a portable pushchair is a must. Some can be big and heavy and that isn't for me at all. 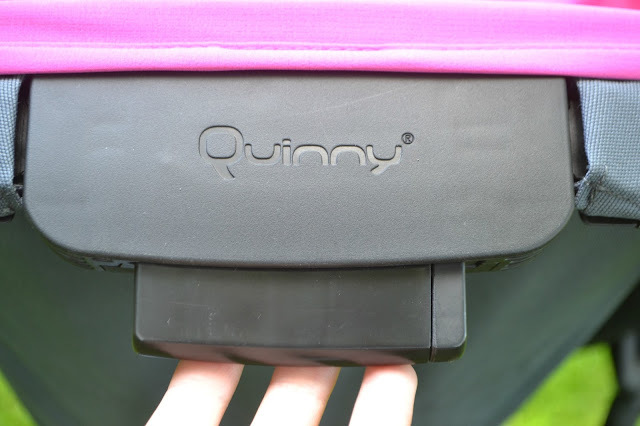 This is why I love the Quinny Zapp Flex Plus. 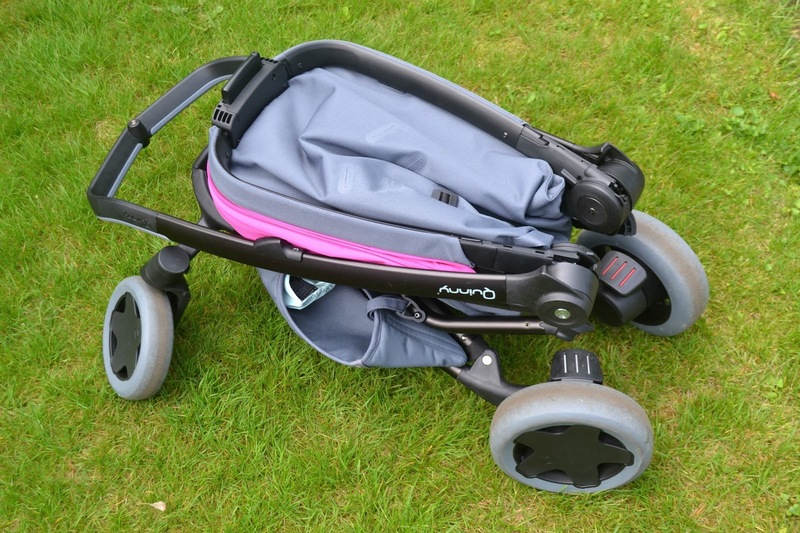 It has to be the most lightweight, portable and compact pushchair I've ever used, and I've used a lot. It is modern, versatile and really sleek. 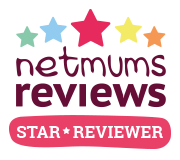 It looks gorgeous and is available in loads of different colours. It is suitable from 6 months until 3.5 years or 15kg. You can combine it with the Quinny Lux Carrycot, the Quinny From-Birth Cacoon or the Maxi-Cosi Pebble Plus car seat and this makes it useable from birth. You can use the seat both parent and world facing which I love. It is so easy to adjust too. There is a main button at the top of the seat which you use to take the seat off and to also fold it down. The button does take me two hands to use but it is really easy and simple. 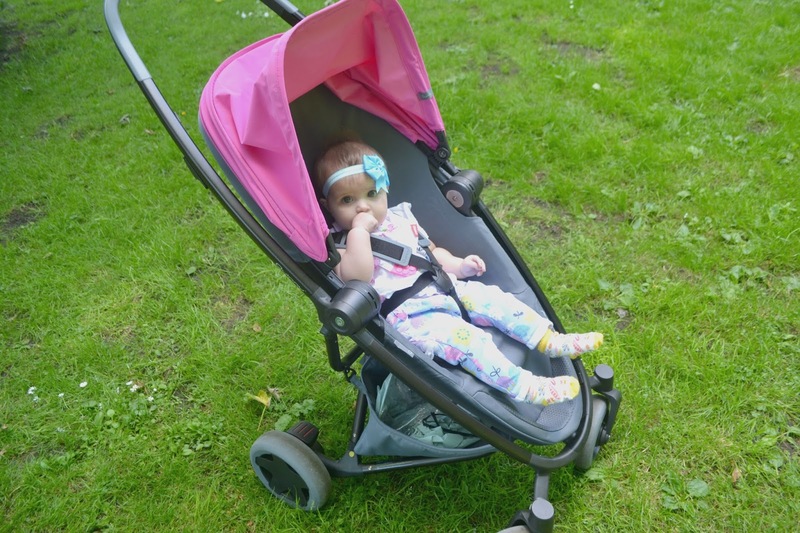 The seat has multiple positions and the straps are adjustable and have a 5 point safety harness which is really easy and simple to use. There is plenty of room for Harleigh to grow as she gets older. 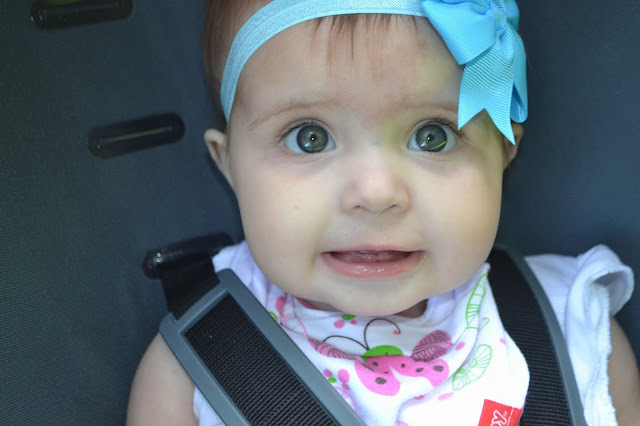 The fabric is also water-resistant which is great for babies and children. 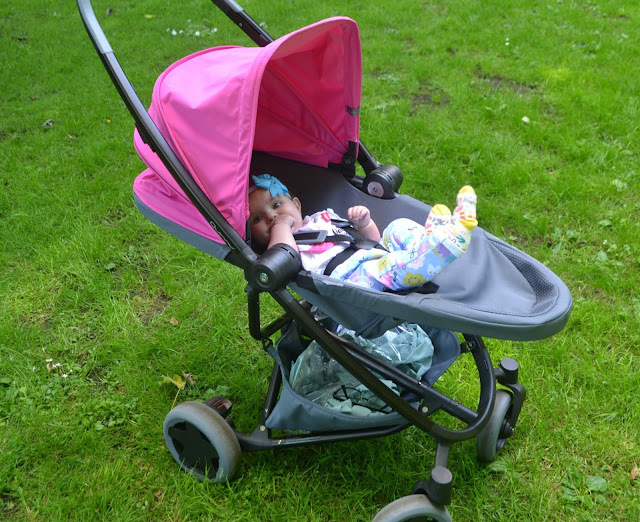 The handle is really easy to use one handed and the pushchair itself is really light and easy to handle. The handle doesn't adjust which I thought would be a problem as i'm quite petite but it really isn't at all. The hood is also another great feature. 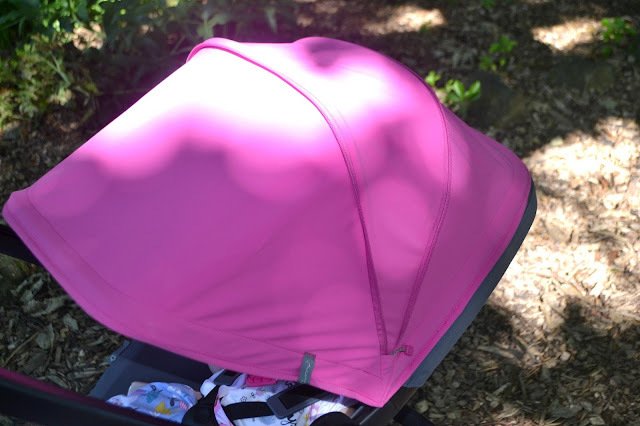 It has a great canopy which has UV 50+ protection. 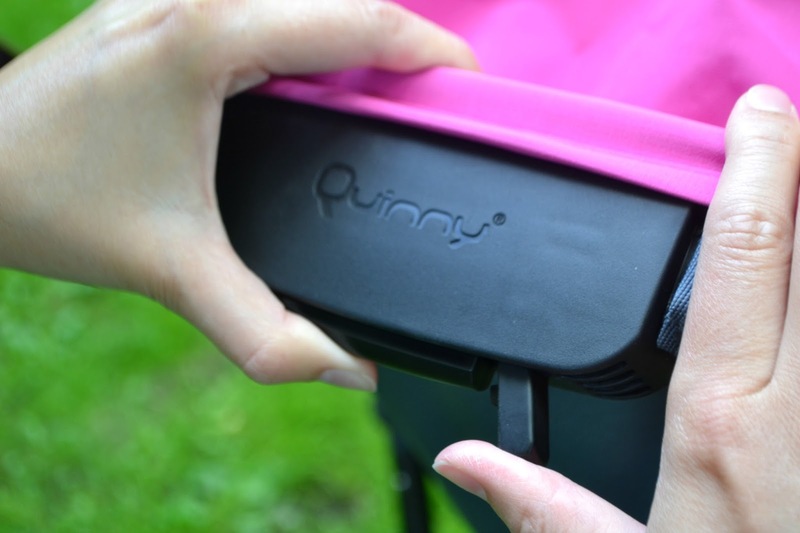 It extends via a an extra zip which is great for the sunny weather. 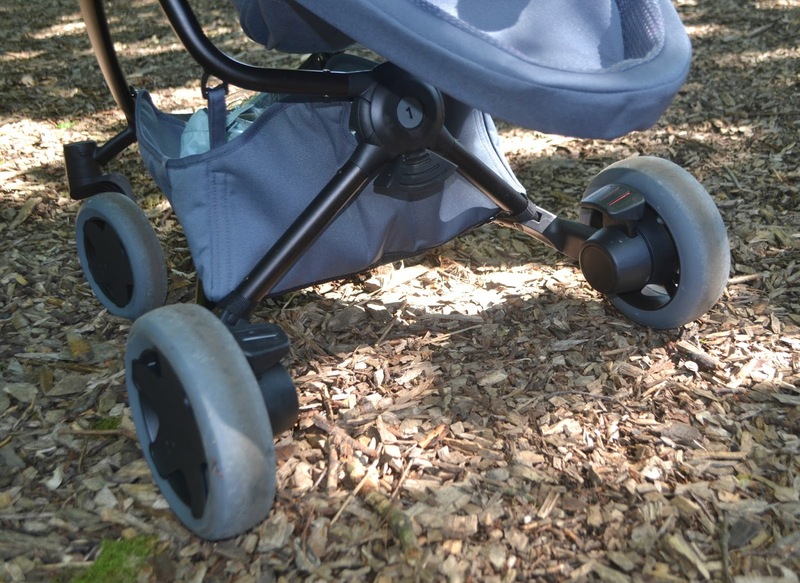 It has four puncture proof wheels which provide a nice ride for baby. The handlebar is closed and easy to steer with one hand which is makes it perfect if you have an extra hand to hold as well as pushing the pushchair. The fold is very compact and really easy. There are three main steps to folding. One thing I don't like is that the pushchair can't be folded when the seat is parent facing, which is a little annoying but it only takes seconds to adjust the seat. 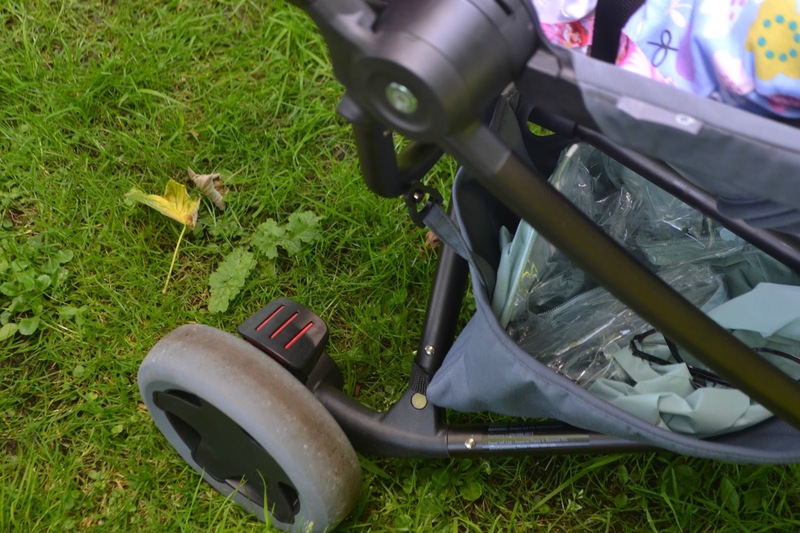 There is an automatic folding lock which engages when the pushchair is folded which means you can just fold the pushchair and go. There is also a shopping basket which is one of my least favourite things. Its small and to be honest I don't use it a whole lot. I mainly keep the rain cover in there as in Yorkshire you can guarantee that it will rain on most days. The break is really easy and simple to use too. 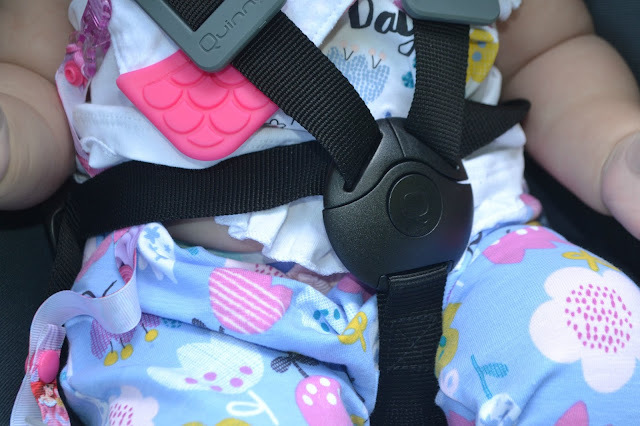 Also included is the Maxi-Cosi car seat adaptors which is great to be able to use it from birth. 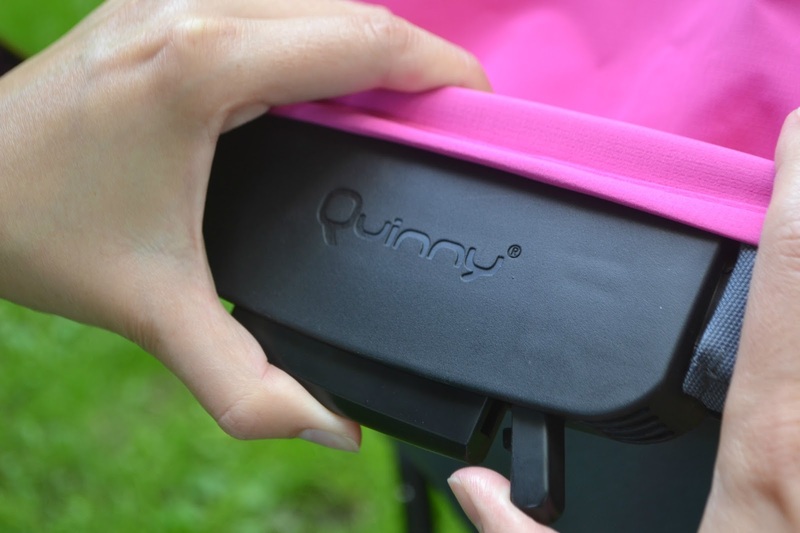 We love the Quinny Zapp Flex Plus, it has fastly become one of my favourite pushchairs.